This past May (therefore, a small sneak peak), I spent the weekend on Petenwell Lake in Adams County, Wisconsin, for my friend Scott’s bachelor party. Our buddy Kyle and I headed up to Sand Valley Golf Resort a few hours before our group’s scheduled tee times for a sneak preview of the second championship course on site, Mammoth Dunes. I love Sand Valley. Bill Coore and Ben Crenshaw designed the original course there expertly: It’s fun, challenging, unique, FAST, rugged and tremendously beautiful. It also makes visitors feel as if they’re hundreds if not thousands of miles from what they know to be Wisconsin. 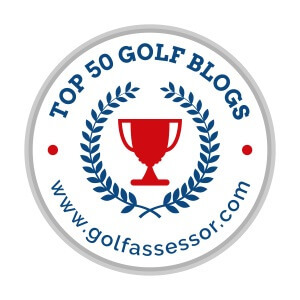 If you visited Golf Digest’s website any time during 2016, chances are you noticed an interesting reader competition: “The Armchair Architect.” 532 entries were received and reviewed by David McLay Kidd, Mike Keiser and Ron Whitten, and the winning entry was by computer gamer Brian Silvernail of Rockledge, Florida. Silvernail’s proposed hole is a split-fairway downhill par four where flying three traps on the right side will propel tee shots downhill and left, making it a potentially drive-able par four. I never submitted my entry for the competition, but after working on it with the topographic map that was provided I can see in person that my hole design probably wouldn’t have worked. My concept was to have distinct risk/reward areas where the smartest shot is a shorter one to a plateaued fairway on the left. The right side would lead to longer drives and shorter approach shots, but those approaches would be made more challenging by uneven and tight lies, a blowout trap that obstructs the player’s view on that right side, tricky green contours that would make holding those shots difficult, and a more rugged path, in general. Meanwhile, a downhill shot from the plateau to the left would allow the smart player to hit a wide open green from an even lie, unobstructed view and receptive putting surface. In person, I don’t think the area allotted has enough space to make something like that happen, and plus there’s a distinct possibility that the concept would look gimmicky, contrived and probably not be considered anyway. The fairway on 18 is shared in parts by the first, 17th and 18th holes. Miss this fairway and you’ve got some real accuracy issues. One of my favorite things great golf resorts do is to add non-championship golf, golf-related facilities. Keiser created “The Punchbowl,” as well as the 13-hole Bandon Preserve par three course at Bandon Dunes; Paul Schock added the Gil Hanse designed “Horse Course” at The Prairie Club; World Woods has a wild, 2-acre putting green and practice holes; to a lesser degree, Streamsong has a fun par three bye hole. What do these things all have in common? They’re great places to spend extra time and especially initiate camaraderie through one-off competitions (aka gambling). Sand Valley is finishing their first add-on golf facility: A 17-hole par three track designed by Coore/Crenshaw. The initial plan was to name it “Quick Sand,” but in conversation with Craig Haltom of Oliphant yesterday at Lawsonia it sounds like they’re now leaning toward “The Sand Box.” The short course is one of the things I’m most looking forward to checking out next season, and I don’t think they can go wrong with either name even though I love Quick Sand. Have you made your first pilgrimage to Sand Valley yet? If so, what were your impressions, where do you think the courses will stack up against the country’s best destinations, and what are you most excited for? Man that looks unbelievable. Next summer I WILL get out there! Looks awesome! Thanks for sharing. I have not been yet but I really want to. They put me on their “media list” but it’s not typically a cheap trek to get there from Alberta so I just haven’t planned it yet. So much good golf, too little time.